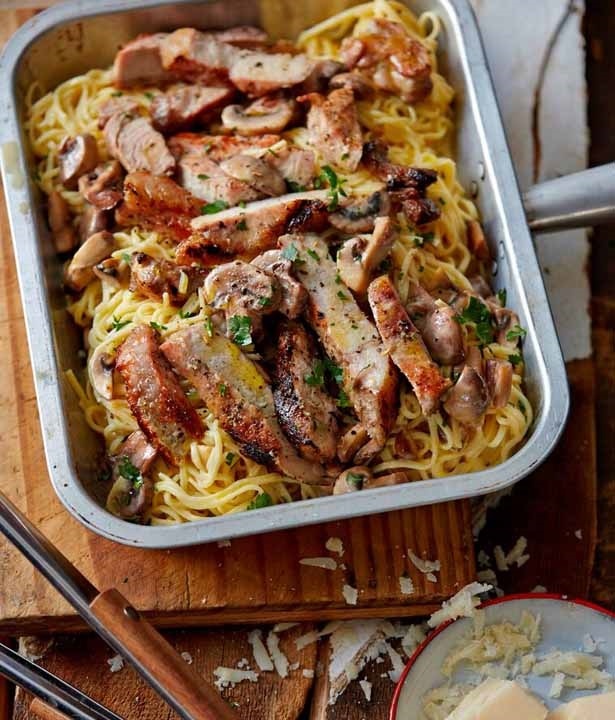 Pork chop Carbonara, Peppermint Crisp blondies, grilled halloumi couscous salad and more! Another weekend beckons... and with it the anticipation of what will be eaten! Click HERE to see last weekend's menu. Oh, there is just so much to look forward to...starting with a real humdinger - pork chop Carbonara. Real rib-sticking, family-style food that is sure to go down a treat. 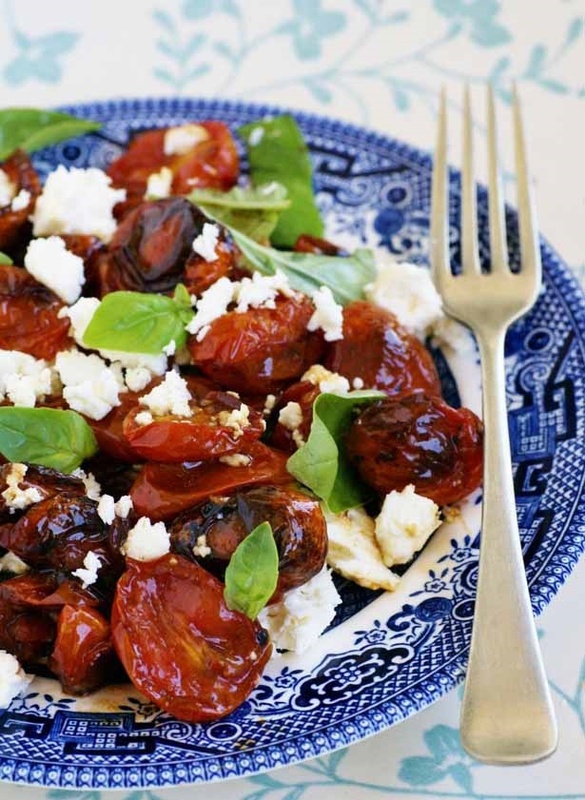 A fresh and vibrant side dish idea comes in the form of this roast tomato and feta salad. 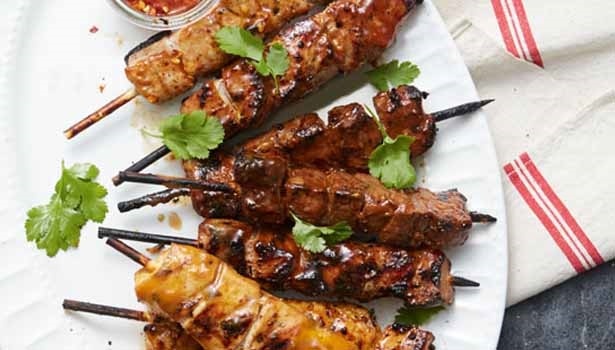 Curried lamb sosaties always go down well and you can keep leftovers as a filling for pita breads the next day! 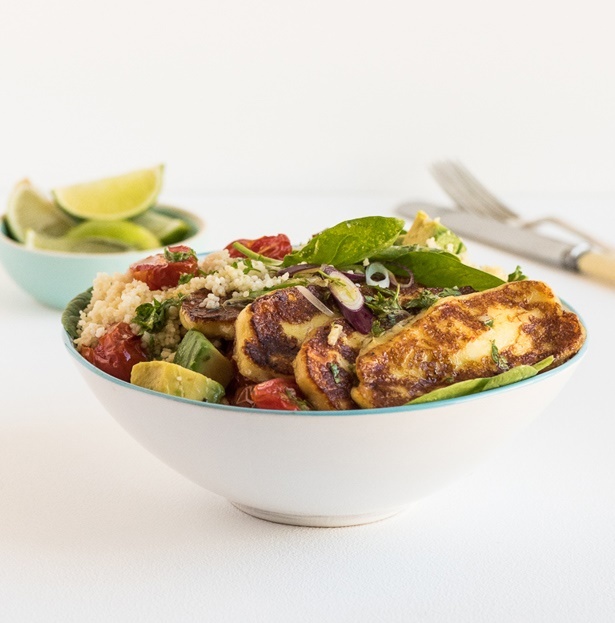 For a substantial veggie main course - go with a simple but sophisticated grilled halloumi couscous salad. It's fresh, it's lively and it's the perfect Spring-time food. Having a party? Make these easy-peasy bacon, blue cheese and pear pastry parcels for your guests to snack on as they arrive. Needing to tuck into something sweet? 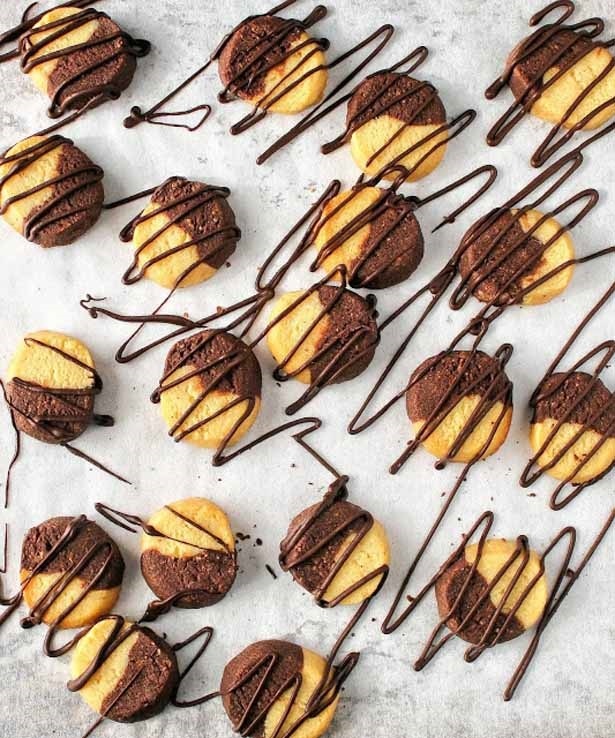 Bake a batch of vanilla and chocolate almond butter cookies. They're fun to make and always hit the spot! 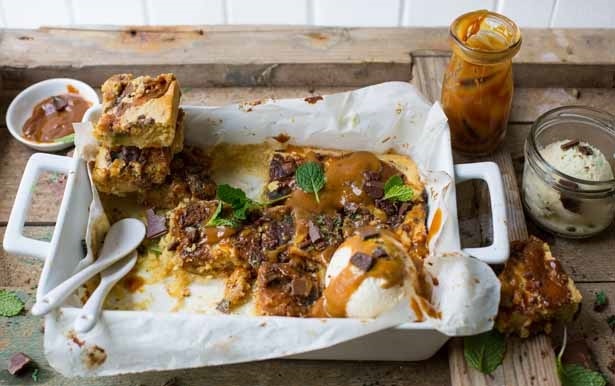 If you are yearning for something a little more indulgent, look no further than these Peppermint Crisp blondies. (A blondie is the vanilla version of a brownie).